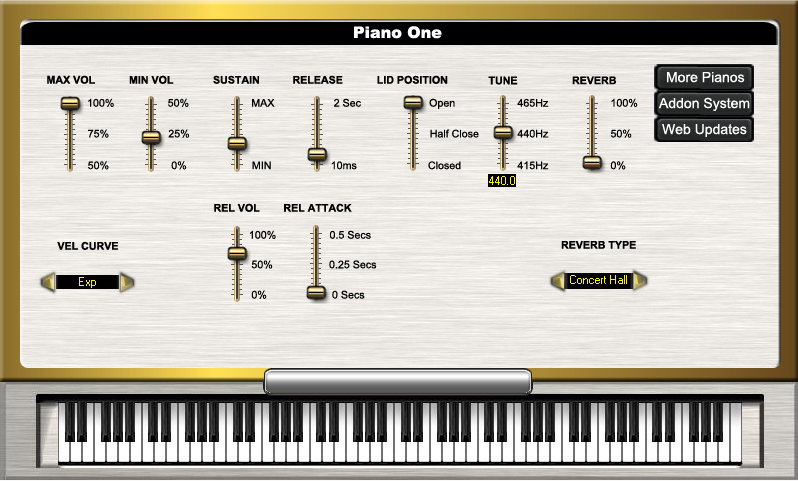 By utilizing the Sound Magic Hybrid Modeling Engine, Piano One offers both the Realistic Sound of Sampling and the Playability of Modeling. Hybrid Modeling provides an instantaneous feeling - no delay - and a truer and richer sound than canbe created with either sampling or modeling alone. What's more, Piano One utilizes only 160MB, which is quite a small footprint, making Piano One usable even on older PCs. There is no waiting time when loading and the CPU usage is so small that it's virtually unnoticeable.